Spring/Summer 2018 was a difficult one for fashion, after all it’s hard to dress to impress when you’re caught between drowning in litres of your own sweat. I hope this isn’t an overshare, but I certainly spent a few days plonked in front of a fan, wearing only pants and a t-shirt belonging to my Husband that I dug out of the wash bin (I had to answer the door once and all I can say is I owe my dignity to Fabreeze). In terms of big hitters, Spring/Summer ’18 saw us all reaching for the retro classics – bum bags, chunky trainers, cargo pants, crop tops. Basically, there was a whole lotta 90’s revival. My previous post Summer Sales- what to buy and how to wear it now and keep wearing it in Winter, hopefully helped you to make some savvy sale purchases and now you can look for some new stock items to complete your wardrobe. Emerging style themes include Suits (already covered in my post Autumn Fashion Trend: Women’s Suits), Animal print (namely leopard print – hallelujah – with smatterings of Cheetah, Zebra and Snake) and ankle boots are still a firm favourite footwear options as we’ve seen for several seasons now. 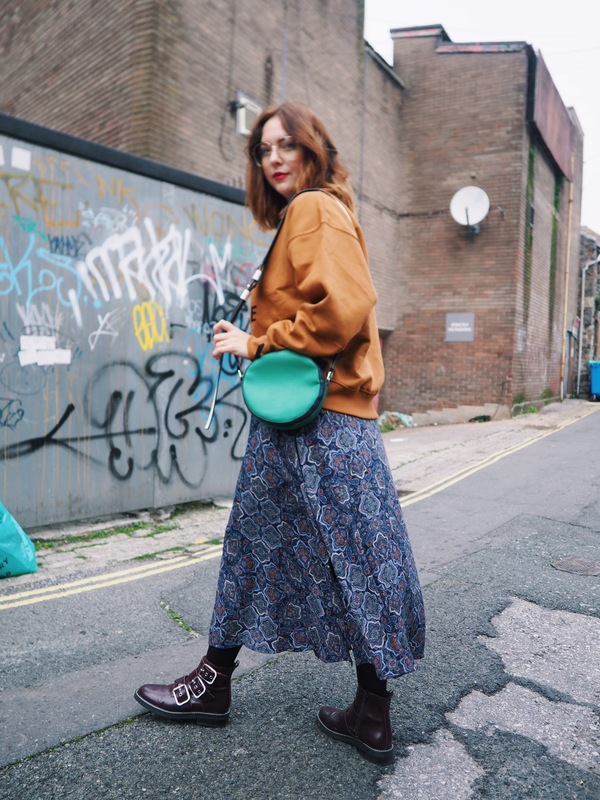 whilst boot trends in Autumn/Winter are about as groundbreaking as florals in Spring, the abundance of options on the Highstreet can be an absolute minefield to navigate. Ankle boots are the most versatile of shoes. An umbrella term encompassing everything from flats to heels, western, Chelsea, lace-up, biker and everything in-between. A great pair are a year-round investment that can be worn rain or shine. The perfect option for notoriously tricky dressing when in between Seasons. Not sure which style to plump for when it comes to Ankle Boot shopping? I’ve done the research for you and I’m sharing the very best options available, from ones that score huge style points to the steady and practical that you can wear for years to come. No animal print is off limits this season. However, if I had to put myself out there I’d most likely invest in a mock croc or faux-snake print (mostly because I already own A LOT of leopard). If you are one of the 1 Billion monthly users on Instagram then this one probably won’t come as a surprise to you. Cowboy boots have been gracing our squares for a while now and they feature heavily in the latest Chloe collection. Look for a Cuban heel and more of a squared off toe, this updated look has a more modern feel. Yee-Haw Indeed. Yay! No longer do you need to be an avid hiker (or Biker) to own a pair of these. Thanks to powerhouses such as Jimmy Choo and Proenza Schouler practical (read: comfortable and functional) ankle boots are now a favourite amongst the Fash’ Pack. The colour, print, shape and heel type and height are all pretty irrelevant in the style stakes this year. What matters most is the fit and sock boots need to fit like a second skin. This years fashion weeks saw ankle boots worn androgynous looks such as an oversized suit or combats. Some were worn with long and floaty dresses bringing an unexpected edge. Sock boots look great paired with pleated midi skirts and a chunky knit or even under some cropped length culottes. Animal prints are a versatile neutral that can be worn with almost anything. When it comes to ankle boots, how do you wear yours? Love this ankle boots. So cute.